Quality Sump Pump Repair In Whitmore Lake MI - Associated Plumbing & Sewer Service, Inc.
For over 50 years, Associated Plumbing & Sewer Service, Inc. has been serving homeowners and businesses of Metro Detroit with local sump pump repair at affordable prices. Our experienced and friendly technicians are insured, trained and ready to assist with your plumbing repairs, installations, drain cleaning services and more! Our fully-equipped technicians are ready to tackle your plumbing repairs. 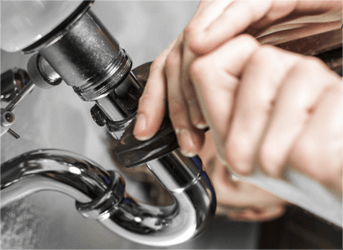 We can handle everything from a broken faucet to repiping your entire home or business! We provide rough or finished plumbing installations kitchen or bathroom remodeling projects around Whitmore Lake MI. Our licensed plumbers and conscientious customer support specialists have experience working with architects, contractors, inspectors, and homeowners within an array of projects. Plumbing is complicated -- no-matter whether it's cleanings, advanced inspections, and or preventative maintenance. Professional sump pump repair makes the difference between a clean, efficient house and a house with risks and higher bills. Associated Plumbing & Sewer Service, Inc. professionals are trained to work on homes of all sizes and plumbing configurations. Plumbing Solutions - Our plumbers are trained and experienced in all pipe and drain problems. These include the grease and debris build-up, damage from tree roots, old or misaligned equipment, and sewer line degradation. These are all issues that we fix! Replacement & Upgrades - In addition to repairing pipes, drains, and sump pumps, we also install them. This is normal for new homes and businesses, or if your plumbing system is too heavily damaged or old. Even if your plumbing system is working, we are happy to install new parts, perform preventative maintenance, or make your pipes more efficient. Associated Plumbing & Sewer Service, Inc. is committed to quality plumbing work and customer service. We guarantee that we will be respectful of your time, hygienic, and care for your home or business. If you are unsatisfied with our conduct or quality of work, then we will refund the cost of your projects. Plumbing issues can't wait. Along with compromising the hygiene and functionality of your home, plumbing problems compound over time, eventually leading to costly damage. No matter the nature of your emergency, we will handle the situation quickly.